Coming from a brick-and-mortar school background, I've long considered each subject independently: math is math, reading is reading, history is history. While there is some overlap - reading the math problem, calculating how many years since the Declaration of Independence was signed - seeing the "whole concept" was not my norm. The longer we've homeschooled, the more I find myself drawn to the "unit study" concept. In this manner of study, you choose a topic and then explore it from different angles. (Pun intended -- including geometry!) However, sometimes you still need to teach the "individual subjects" in order to meet core requirements. 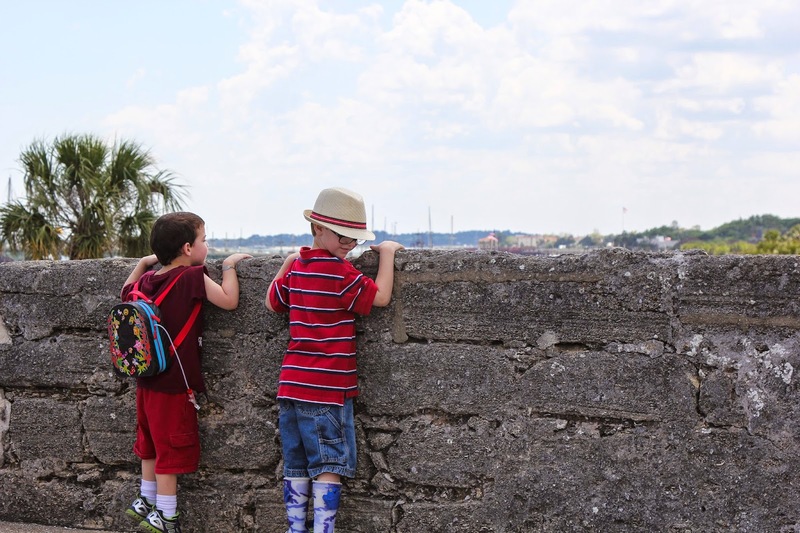 Homeschool Legacy has created a number of "Once a Week Unit Studies" that allow you to balance the need for topic-specific teaching with global learning. We had the opportunity to review their medieval-themed Knights & Nobles unit study and had a fantastic time. 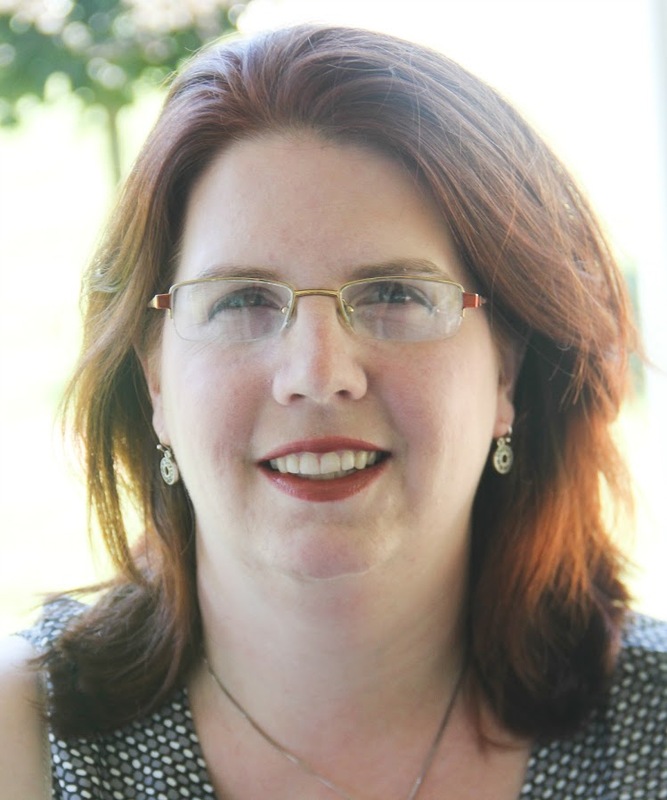 What sets the Homeschool Legacy unit studies apart is their "once a week" approach. Instead of teaching all academics though a single theme, Homeschool Legacy's studies allow you to use your favorite curricula for your core topics (math, science, reading, etc.) and then put them to use during a single concentrated "Unit Study" day. Step-by-step instructions are given, and a focused curriculum laid out, so that you have simple before-and-after activities and get the most out of your one unit study day. I had been looking for a history program for Jude - he has long been drawn to a history-based method of learning. 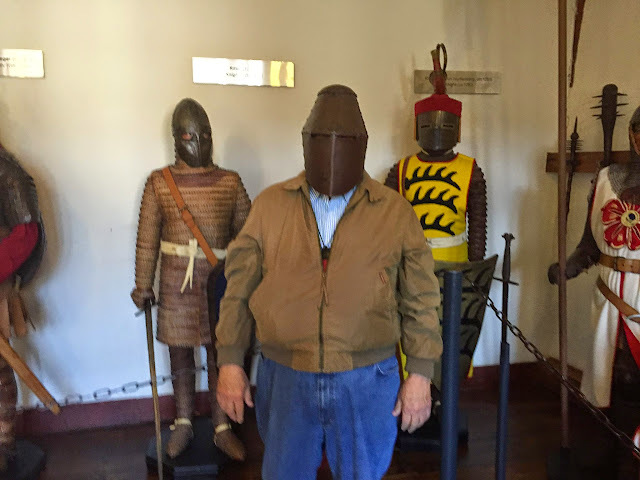 In the past, we have generally focused on American history, so the Medieval era was new to him; however, like many little boys, knights and castles fascinate him. As an adult, I can appreciate the beauty of these ruins, and the amazing ingenuity that the people of this period needed to survive. In addition, Matthew is working on a World History program. This unit study helped pull him out of the "names and dates" mindset and round his studies with the culture of the people. The Knights & Nobles unit study cover states it is for grades 2-12, and I admit to some serious skepticism. It's hard for a course to be simple enough for a young student but meaty enough for an older one, but I figured for a four-week program, it was worth a shot. "Wow!" is about all I can say. I think Homeschool Legacy is my new favorite company. We had a fantastic time with this program. Each week has 10-15 books to choose from. Most can be found at your local library; we even borrowed The Three Musketeers as an audiobook from Amazon (we are Kindle Unlimited members). However, there is no need to read all of them. The author suggests you think of these lists "as a buffet" - everyone can choose his favorites, but none is left hungry. We found for Matthew, one big piece of classic literature was enough for him to handle, while Jude read several stories. Each week focuses on a different topic. I really liked this. I felt that it gave each topic an opportunity to really be explored. For example, one can explore medieval castles in just one day, and if you wanted to just have more of a simple/overview course, you certainly could. However, there is so much to be learned. We found having a focused topic allowed us a secure foundation to work from. For example, while we went down several "rabbit trails" with castles, knowing that we had a wide variety of resources for them and that we would get to the people who lived in them eventually, we felt like we could focus on these incredible fortresses without feeling like we had to learn about the building and the defending knights and the king and queen and what they did for fun and what they ate simultaneously. Week 1 took us much longer than "intended." Instead of a single day (week), we spent a full two weeks! While the sections focuses on castles, but also includes the Gothic Cathedral. We spent a full week working on the medieval fortress castle and seeing how it evolved from a sparse fortress to the incredible "fairy tale" buildings we think of today, but then allowed a second week to focus on the beautiful "castles of God." For the castle studies, we read books about them, watched movies about castles, and were lucky that we had recently been to Castillo de San Marcos - the oldest Bastion fort in the New World. 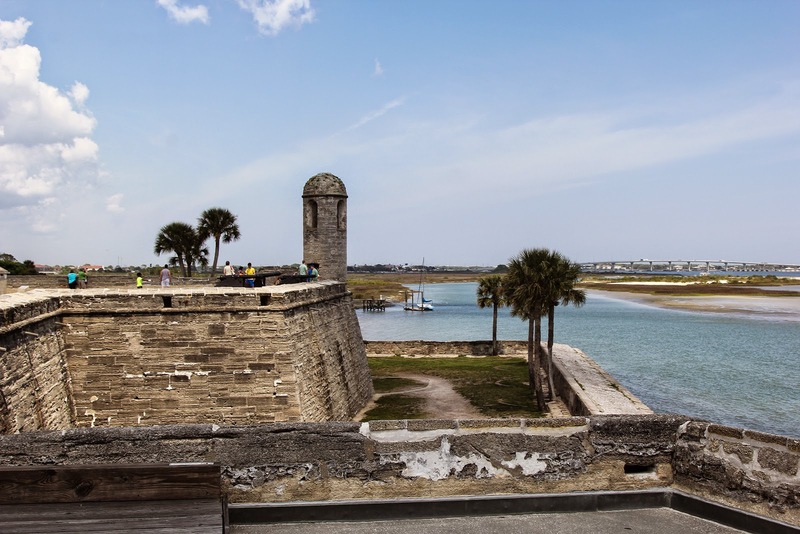 We had a chance to re-explore the castillo (the Spanish word for castle) through our photos, and talk about the practical features of these structures. 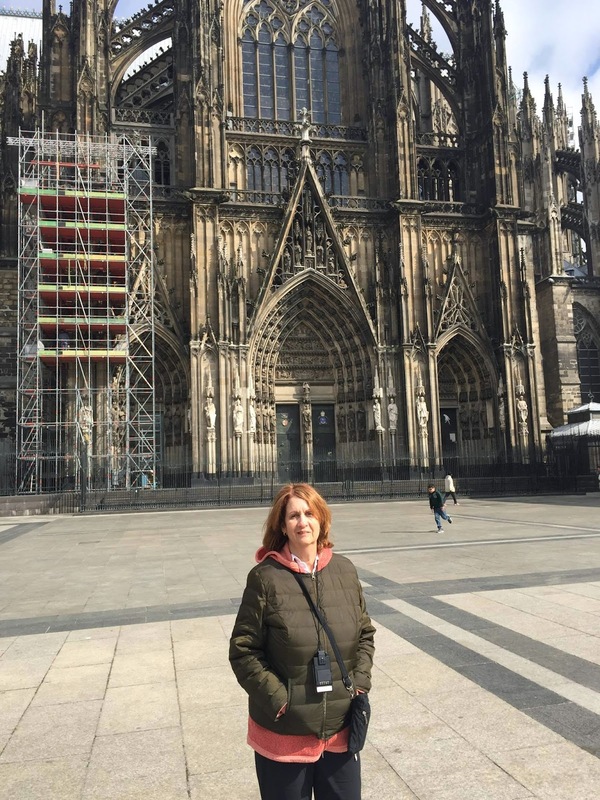 We then took a week to study the Gothic Cathedral. These beautiful churches were as important as castles. If the castles saved the peoples' bodies from danger, the cathedrals saved their souls. 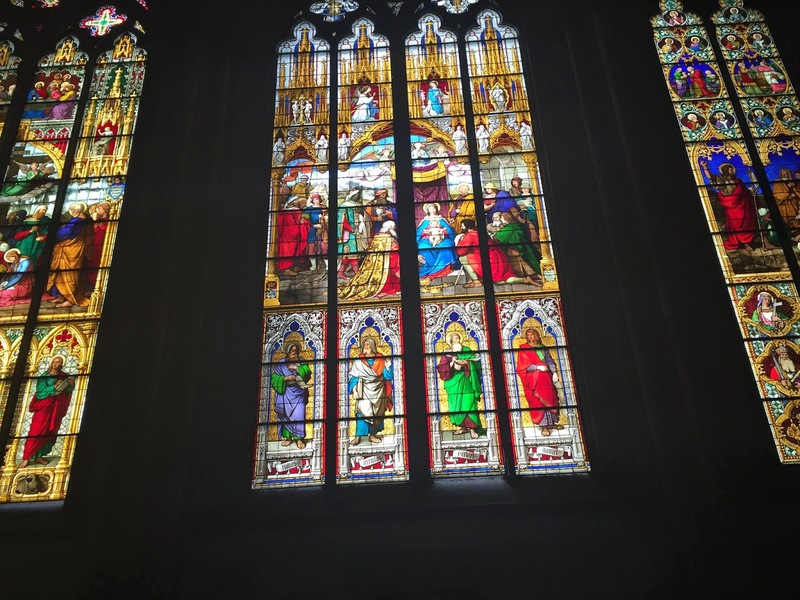 One of the suggested activities is a field trip to look at the stained glass windows of a church. These exquisite structures let in light, both physical and metaphorical. Many of the worshippers - most, really - were illiterate and these gorgeous windows allowed them to learn stories from the Bible with pictures. We were blessed with a "virtual" field trip. Neal's parents were in Europe at the same time we studied these, so every day we checked Facebook to see where they had been. Inspired by their photographs, we then did our own stained glass projects. 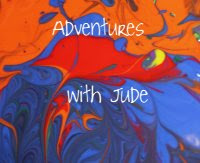 While Damien and Jude focused more on just creating beautiful pictures, Matthew was assigned to create a "window" in the same style - one that would allow a story to be seen. All of the videos and films are available via Netflix. We don't have a Netflix membership, though, but it wasn't an issue. Most of the videos assigned are also available via YouTube. However, what I liked is the flexibility of this program. If you couldn't find a specific video, it was easy to substitute something on the same topic. While A Connecticut Yankee... is classic Americana, you could substitute another King Arthur-themed movie. We are currently working on Week 3: Knights. Knights began their training as pages and squires, training for many, many years in both chivalrous character and as soldiers. We have a family business that Luke has begun working in, and Matthew pitches in at times, too. They have their own knightly mentor - Sir Pop Pop. In addition to history and art, science is incorporated into the program. Check out our catapult. Similar styles were used to launch large projectiles as well as smaller shrapnel when laying siege. Though not one of our homeschoolers, Celia didn't want to be left out. She's interested in working through the unit study on her own during summer break. I think this is a great idea! All of Homeschool Legacy's Once-a-Week unit studies are an engaging yet not "but I don't want to do schoolwork!" activity for traditional brick-and-mortar students on a summer break. If you have a Boy Scout or an American Heritage Girl, each of these follow the merit badge requirements for the programs. They'd be perfect for a 1-2 week day camp program, or just worked on piecemeal at a weekly meeting - about a month, they'd have earned an Art Merit Badge. 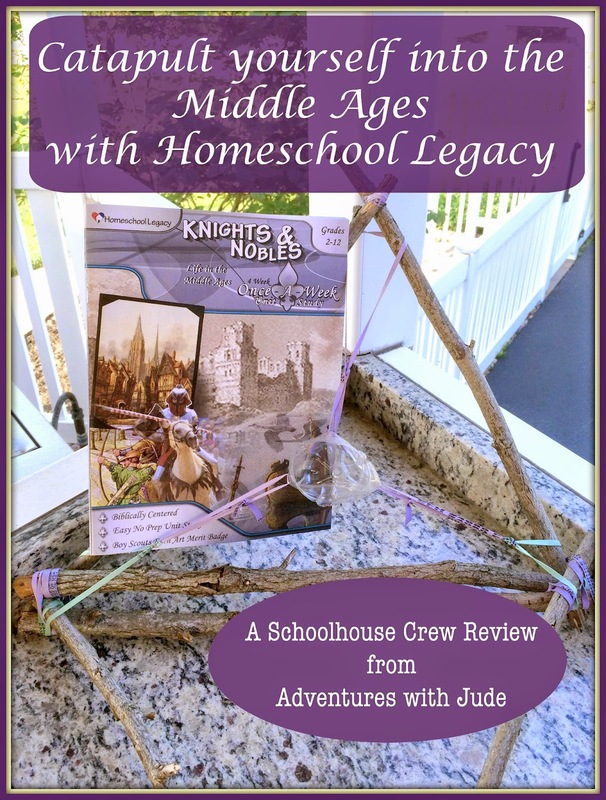 We absolutely loved Knights and Nobles from Homeschool Legacy. It's a program that can be worked on just once a week, allowing you to keep your "regular" curriculum yet inject something "different" into your week. It allows for all grade levels to participate, even the kindergarteners outside the Grades 2-12 age range, and at the appropriate course depth for their needs. We'll continue through this program (Life on a Manor is up next), and probably consider their other programs for next year.